Ha, thanks for pointing that out. I changed the "personal text" in my profile to include my name. Cheers Beerheads! Could be Ken from Chicago. German Pils with 95% Best Pils, 5% carapils, Mandarina Bavaria hops, and wlp838 - 1.046 down to 1.010. Sadly I didn't use enough of the Mandarina Bavaria for them to come through. It was .75oz at 15 and .75oz at 1 minute left in the boil. But at 38 IBU it has a firm bitterness that is nice. And this was actually fermented in the kettle with cling wrap on top for 10 days, then kegged and fined. It's very dry and crisp. I like it. 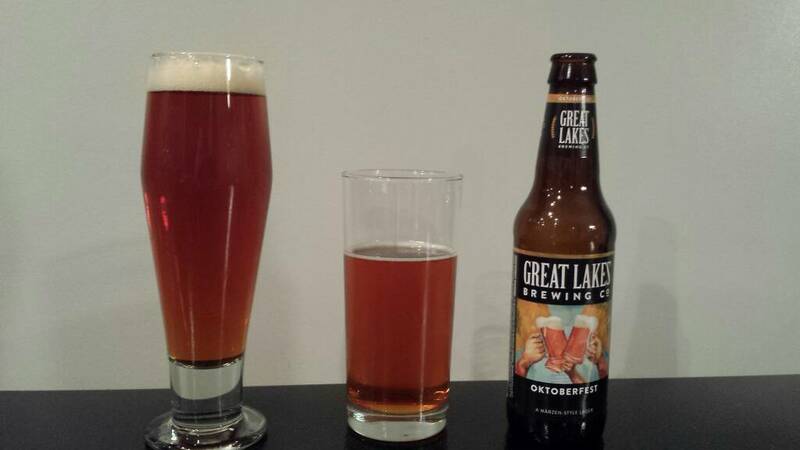 My Oktoberfest (left) side by side tasting with Great Lakes Oktoberfest. 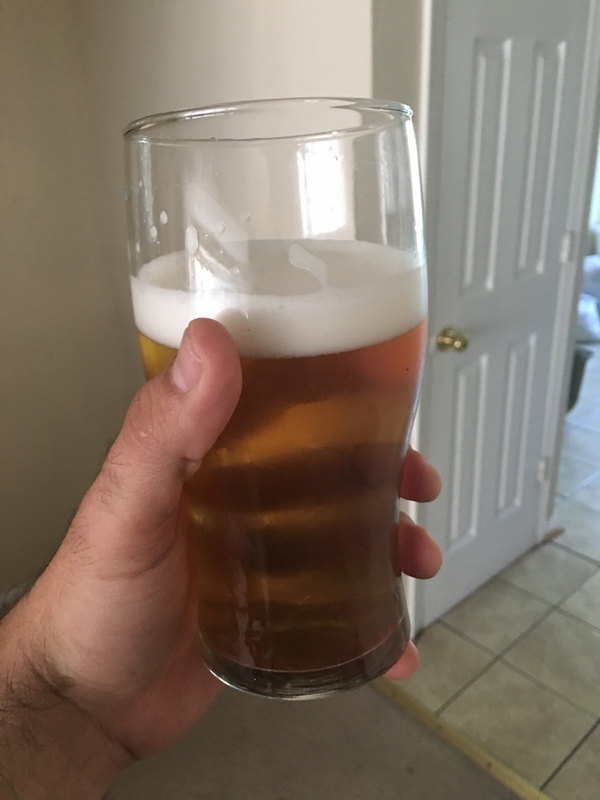 While far from my first beer, this was in fact my first lager. I prefer mine slightly, and I'm pretty critical of my homebrew. Always good to beat a commercial example. I should have back -lit the beer, it's clear as a bell too. Looks great JT, no head on the Great Lakes brew? Unfortunately I was sipping before I decided to take a pic and couldn't top off the GL. Both of them faded rather fast though which is not something I'm used to seeing on my homebrew and not sure what the cause was. This Oktoberfest is the only beer in recent memory that will totally flatline in head retention in a fairly short period of time. Are you going to meeting Friday? Brett ferms, sounds good to me! 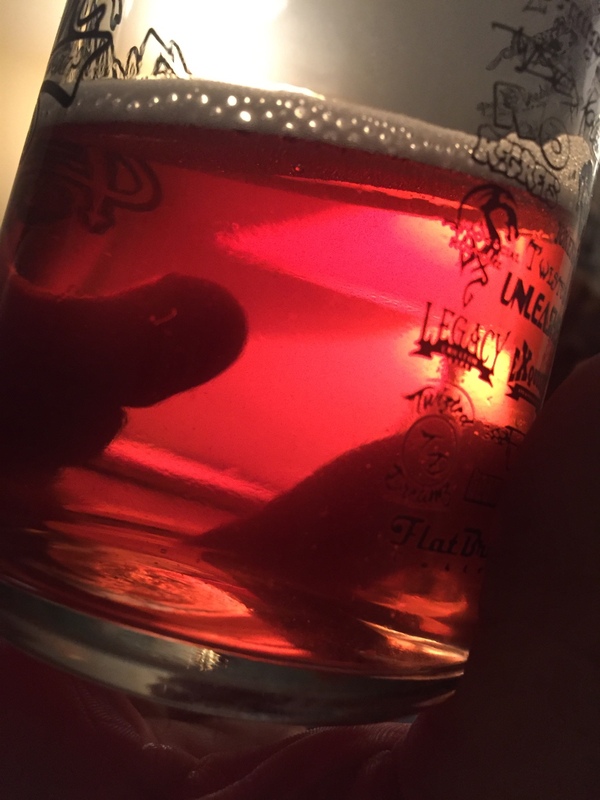 I've noticed much less retention in both my own Oktoberfest/marzen and many commercial examples versus other styles of beer. Not sure of the culprit. I assume I'm doing something wrong in process, just not sure what that is or why it is only impacting this beer. Style guidelines call for persistent, off-white foam stand. Yeah, the style guidelines do say that, but I've never had a commercial Oktoberfest that had a long lasting head. Ever. Double Decoction made Pils... Turned out great!